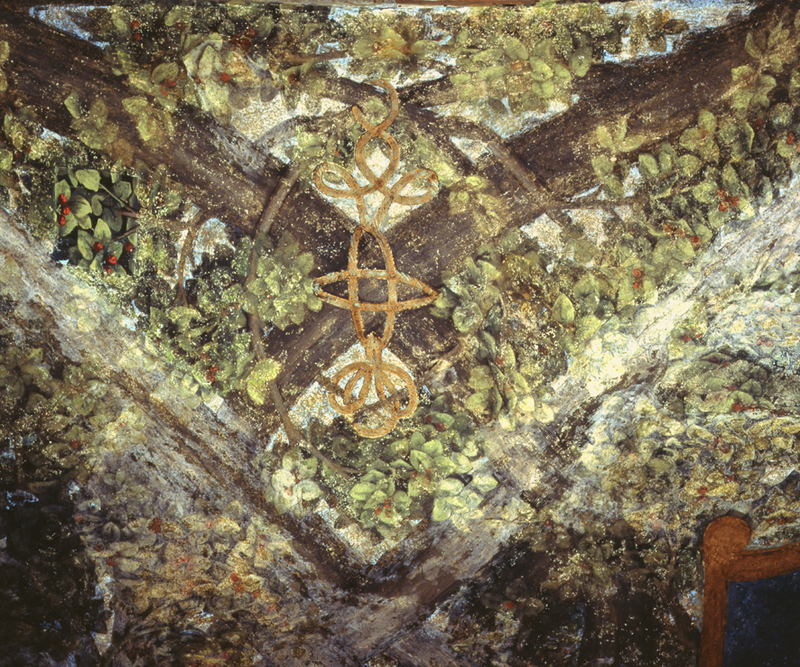 Sala delle Asse represents one of the very first examples of illusionist decoration whose aim is to transform a big room of an interior space into an external location: visitors are completely captured by the arbor’s branches, among which are mulberries, intertwined and supported by majestic trunks and their immense roots. 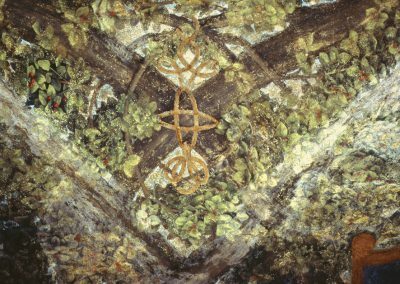 These are all painted though a monochrome technique, and can be observed on the northern angle of the room, while on the vault are the branches, intertwined with golden ropes. The branches make a geometrical pattern come to life, which reminds the very renowned knots by Leonardo da Vinci. The choice for the mulberry fruit (from Latin, morus) – which according to the botanical symbolism represents wisdom and prudence – probably reflects the goodness of the Duke Ludovico Maria Sforza, called “il Moro”.